Instructions for linking to another page on your website. Below are step-by-step instructions on how to add a hyperlink to a page you've created on your website that leads to another page or resource on the website. First, copy the link of the page that you would like to redirect to. After doing this, go to the page you would like to add the link to. Then, click on the blue "Edit text" button in the light blue admin box. In the text editor, click on the link icon (looks like a chain link). You should now see a pop-up that will prompt you to add the URL to the page you would like to link. Paste the link you copied and edit the text to display. Then, click "Ok" to save the information entered. Lastly, save the changes made in the text box. 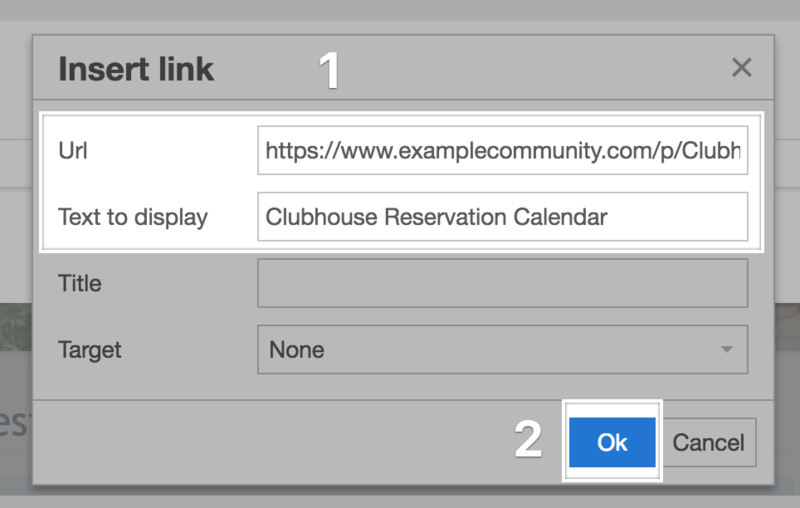 Afterward, the link will display in the page text and will redirect members to the linked page on your website.